The hamstrings are among one of the biggest muscle groups in the body. They are a group of three muscles at the back of the thigh thats function is to bend the knee and assist the glutes in extending the hip; so needless to say, healthy hamstrings are integral to kicking, the running and the athlete’s general sporting ability. Accounting for nearly 1 in 10 of all rugby injuries, they are among the most common injuries in the sport. The risk of injury however isn’t evenly distributed among positions. Forwards are most likely to tear their hamstrings on the field of play, with the incidence among them being 3 times that of their colleagues in the backs. Structural muscle injuries can be broken into two types based on the site of injury. Type 1 injuries typically occur during running, normally during acceleration or slowing down on a sprint. They generally happen at the junction where the muscle meets the tendon and they account for 68% of tears. Type 2 injuries typically happen close to the sit bones when the muscle is excessively lengthened. Type 1 injuries are more than twice as common as type 2, and they return to play quicker than type 2 which take an average of 36 days of rehabilitation before players are fit for return to play. 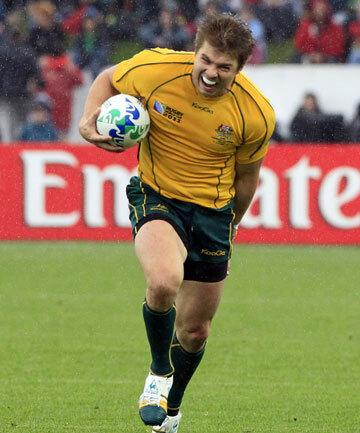 Players are particularly vulnerable to a tear during rucking and mauling. When the trunk and hips are flexed and knees straightened, the junction where the tendon meets the muscle fibres is under particular strain, the muscle is at its maximal length, combined with a tackle a player is at risk of rupturing the tendon- as was the case with Irish international Paul O’Connell’s career ending injury in 2015’s world cup. In the less extreme scenario of non-career ending injuries, hamstring injuries are still among the most severe sports injuries from a time loss perspective. Players lose an overall average of 41 days from playmaking (this includes bothtype 1 and type 2 injuries) it the second highest time loss injury recorded after knee ligament sprains and tears. Recurring hamstring tears take an average of nearly twice aslong to return to play than first time tears. Unfortunately, the main predictor of recurrence is a history of previous tears. This is potentially down to both premature return to play and inadequate rehab. So, what are the most effective prevention measures that can be taken for both first time and recurrent strains? Athletes who integrate Nordic hamstring exercises to a player-specific lower limb flexibility and strengthening rehab program have statistically lower incidence and severity of hamstring injuries. In addition to building general strength and flexibility, these exercises develop the athlete’s eccentric control, reducing the chances of players being subject to repeating the injury.